Sweden had participated in a big way in the 'Make-in-India Week' held in Mumbai last year. PM Narendra Modi expressed his appreciation for Sweden's support to 'Make-in-India'. 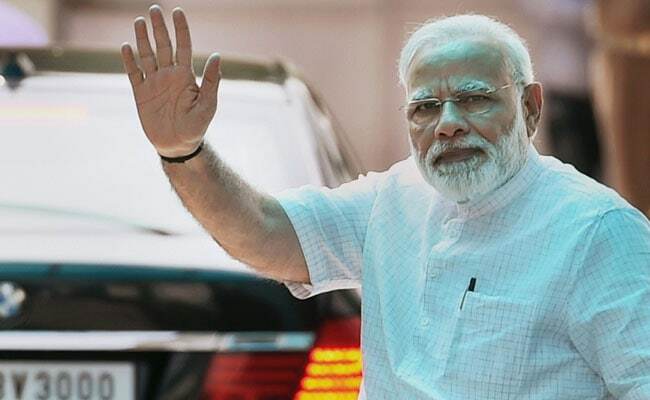 New Delhi: Prime Minister Narendra Modi today had a telephonic conversation with his Swedish counterpart Stefan Lofven during which he conveyed his appreciation for Sweden's support to the 'Make-in-India' programme. Sweden had participated in a big way in the 'Make-in-India Week' held in Mumbai last year, with Mr Lofven himself attending it along with a large delegation consisting of government officials, heads of agencies and industry leaders. "Had a good discussion with H. E. Mr. Stefan L fven @SwedishPM on the phone. I deeply appreciate Sweden's support for @makeinindia," PM Modi tweeted. PM Modi and PM Lofven had jointly inaugurated Sweden's pavilion at the 'Make-in-India Week' last year in which over 18 Swedish companies had participated. Some of the biggest Swedish participants included ABB, Atlas Copco, Camfil, Ericsson, Ikea, Saab, Sandvik, Scania, SKF, TetraPak and Volvo. Around 160 Swedish companies are operating in India, employing 160,000 people directly and 1.1 million indirectly. "Swedish industry has always believed in India as a perfect trading partner, right from the time Ericsson laid the first cables in 1903 to the current times when our companies are looking to raise their investments and their manufacturing units here," Swedish Ambassador to India Harald Sandberg had said then.